When it comes to travel hacks, there is one thing that we tend to forget – packing! It usually happens because we follow the traditional form of packing that our elders used to do and that was mostly about carrying the world with you. Thinking about how travel has become an essential part of our lives today, we don’t tend take occasional trips anymore. Traveling is more about getaways and backpacking or opting for a nomadic life, where you shouldn’t carry all that you want. Even if you can travel twice a year, you still don’t have to carry everything you think you’d need. Check out the points below to know why you should aim to travel light and learn how it is easy to do so! How to pack light and pack right? You limit what you want to take for your trip when it comes down to what you ‘need’ to take. Test yourself by choosing a smaller backpack, even if it come with less space than most backpacker backpacks. If you are trekking to remote backcountries, you’d want to have bigger options like an expedition backpack, but that doesn’t mean you need to fill them to the brim. Packing right means packing light, as that help you utilize the space in the best way and not overburden your body. If you are a digital nomad, your gadgets will be your first priority along with your basics essentials. You might need a camera for getting your early hands on photography or carry the best gadgets needed by a travel blogger, and you’d have to make space for them. The laptop backpacks can help you have enough space for your gadgets and then your clothes. What comes to your mind when you think of bare essentials? Food, shelter and clothes, right? You’d have shelter as you travel or you halt, you’d have food to buy in the places you visit, so all you need it clothes. Don’t bring too much of clothes irrespective of how many days you travel and be picky about what you take. For instance, carrying thermals to a cold place instead of couple of jackets is better as it saves space. Taking sarongs that you can wear in different ways is better than carrying dresses. Carry light clothes during summers as they wash and dry quickly and save space too. Apart from clothes, you’d need medicines and toiletries. However, you shouldn’t carry bottles of oil or shampoo than can be replaced and added to smaller containers for travel packs. You might also need seasonal requirements like an umbrella or a raincoat, so those too are determinants. Depending on where you’ve headed, you might have to plan what to take and how to take. 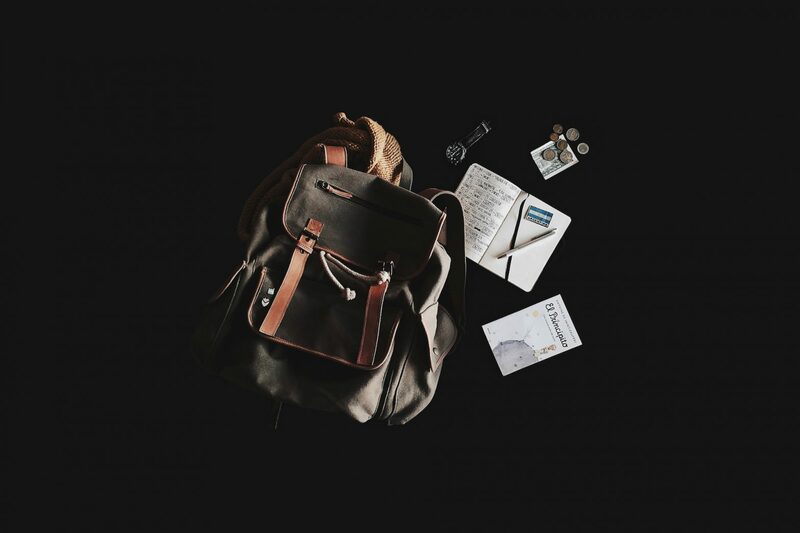 Check out the best travel apps to help you travel cheap, as you make sure to suit your backpack essentials according to your journey. For instance, warmer weathers will need you sunscreens, sarongs, beach-wear, and light clothes, whereas rainy weathers will need raincoats. It gets difficult when you’re heading to multiple places with different climates, so try and pack one of everything and you’ll be prepared no matter where you find yourself. Packing right means packing in layers where you can use packing cubes or organize your essentials in such a way that your backpack doesn’t bulk up. Packing in layers helps you put the right thing in the right spot and that makes it easier to reach out to those elements. You should distribute your loads in such a way that the layers are equal. This prevents you from having any body-ache. Also look out for backpacks that suit your body type according to your height and weight so that you don’t carry heavier backpacks compared to what you should possibly take. Why should you pack light? When you pack light, you don’t strain yourself up. It gives you a chance to focus more on where you are going and not how you’re going. Travelers, who are always on the go, spend most of the time carrying their luggage so their backpacks don’t stay back at the hotel rooms. You’ll find travelling much easier with a lighter load on your back, and the truth is, you won’t miss those extra non-essential items that you left at home!